The new design of Madrid’s stadium will cost around €500 million and includes a retractable roof and pitch, as well as a metal envelope around the outside, which will be able to project images and videos. “The plan has been approved,” said Perez on Tuesday, during an unveiling at the ground, also attended by the Mayor of Madrid, Manuela Carmena. Madrid’s final home match of the campaign is against Real Betis and scheduled for May 19. The Santiago Bernabeu’s capacity of just over 81,000 seats is not due to increase but a number of technological advancements will be made. “We want it to be an iconic stadium for the future,” Perez continued. “We will fund it from the money we will make from the new stadium. 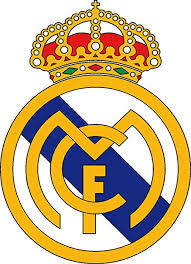 We want Real Madrid to be competitive in what is now a new landscape of world football,” he added. The plan is for the project to be completed within three and a half years and without disrupting the team’s calendar. Perez said in September the club would take out a loan of up to €575 million without “any impact on sporting activity”.